What tags should I use for Feature Ideas in the Canvas Community? Community ideas are tagged with all official tags that apply. Please add any and all tags that apply to the idea. Tagging increases the accuracy of searching and sorting. Note: The Ideas space provides sorting that leverages these tags! Previous Topic:What is the partner integration idea process in the Canvas Community? Next Topic:How do I participate in a group in the Canvas Community? 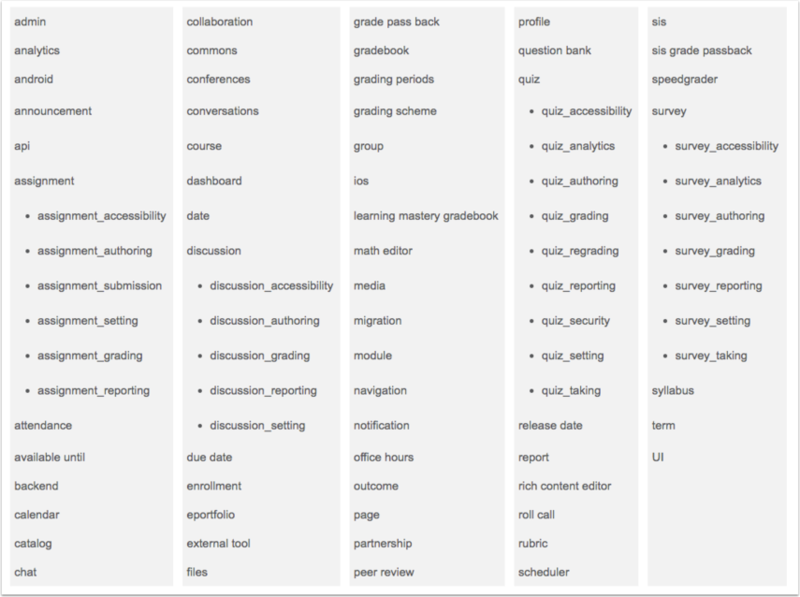 Table of Contents > Feature Idea > What tags should I use for Feature Ideas in the Canvas Community?